We sit at the precipice of a new campaign season. During the next 18 months we can be sure that some of the most contentious issues will include the influence of money in politics, issues that revolve around religious freedom, state vs. federal power, and the power of the courts and judges to interpret the Constitution and the Bill of Rights. With respect to all of this, the First Amendment of the Constitution stands in bold relief. 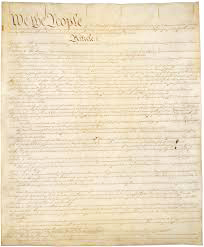 Only 45 words crafted by Madison, its power and scope has been a critical chapter in the narrative of our democracy. Burt Neuborne, former national legal director of the ACLU and founding director of the Brennan Center for Justice at NYU Law School, takes us on a random walk through what he calls Madison’s Music. Photo credits for panorama: Burt Neuborne: David Shankbone / Wikimedia; Bill of Rights Sign; Ted Mielczarek / Flickr; Elena Kagan only: Supreme Court / Wikimedia; Other eight Justices: Supreme Court / Wikimedia.